A few years ago, a friend and I were writing a kids talk for a church service. We wanted my puppet orangutan to tell the kids why the resurrection was so important. And we paused. We both knew that the resurrection was important, but we were struggling to put into words WHY it was important. 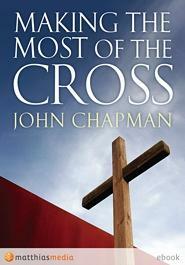 I’m sure if we had a copy of John Chapman’s book Making The Most of The Cross at hand back then, we wouldn’t have been struggling. Because this is a great resource that clearly explains some big truths.